After a good night’s sleep from seeing Iowa towns like Des Moines and Ames, I made my way back into Nebraska to see the last place on my Midwest tour – Omaha. 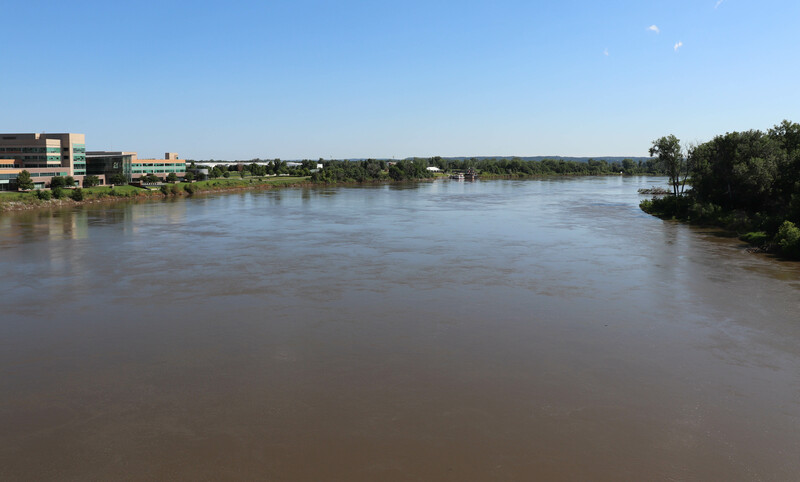 Nebraska’s largest city, Omaha is home to close to 447,000 people and sits on the banks of the Missouri River. 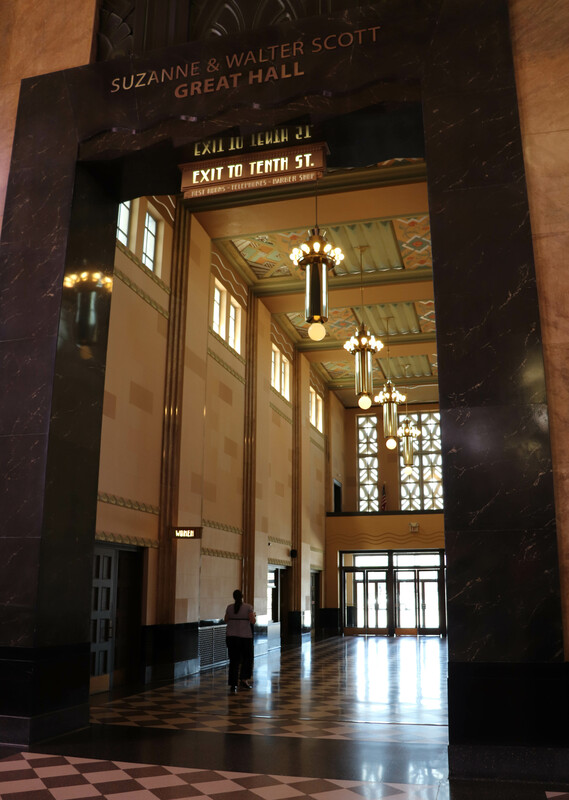 Although there were cool things I saw in the capital city of Lincoln, Omaha had its own share of visit-worthy places I wanted to check out before heading home. 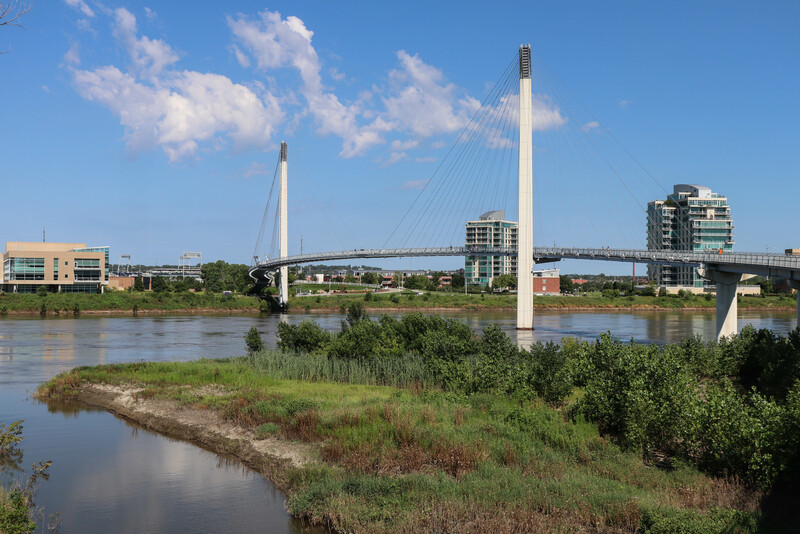 Upon arriving in town after a two-hour drive, the first stop I went to was the Bob Kerrey Pedestrian Bridge. Spanning 3000 feet long and crossing the Missouri River, this bridge links the cities of Omaha, Nebraska and Council Bluffs, Iowa. The Bob Kerrey Pedestrian Bridge. One super cool activity that can be done here is standing in both Nebraska and Iowa at the same time – and that I did! Although it was a weekday morning, there was still a constant stream of foot traffic here. Many folks were getting their morning run in, while others simply came to see this piece of American engineering. This bridge has probably the best view of the Missouri River here in town! 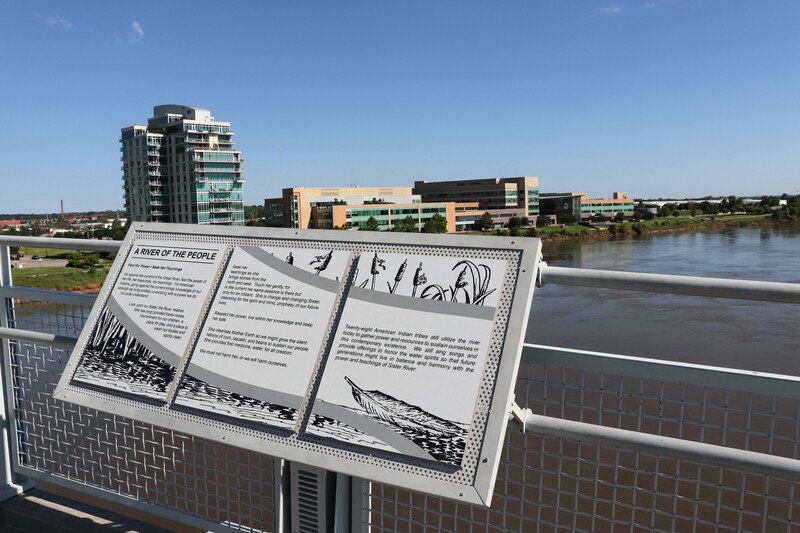 Signs placed all around served to educate visitors about the history of the river, the bridge’s origins, and so forth. 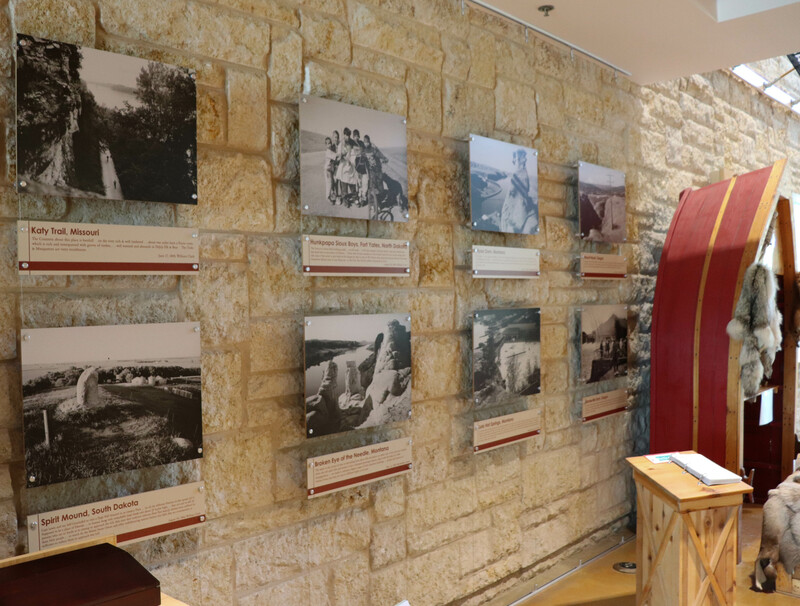 Before heading into downtown Omaha, I stopped briefly at the Lewis and Clark National Historic Trail Headquarters and Visitor Center, located right next to the Bob Kerrey and run by the National Park Service. 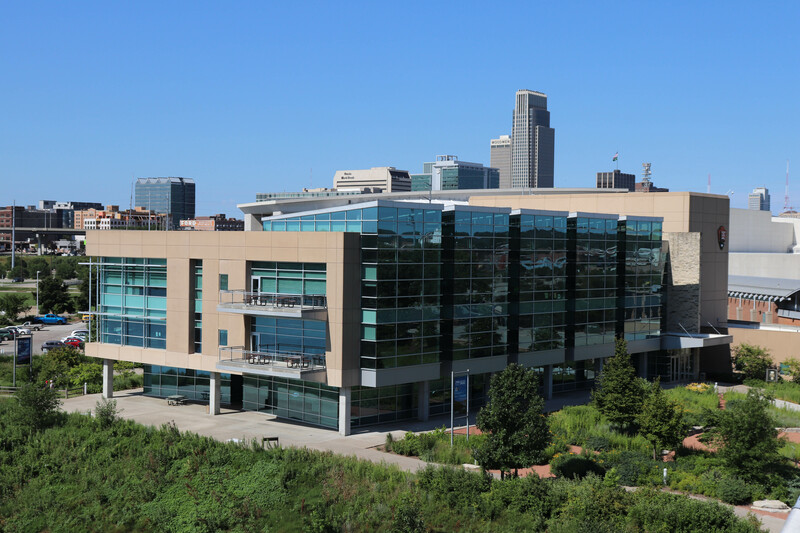 As the name suggests, this place is the headquarters of the Lewis and Clark National Historic Trail system, which stretches through eleven states(with Omaha being a stop!). The Lewis and Clark National Historic Trail Headquarters and Visitor Center. 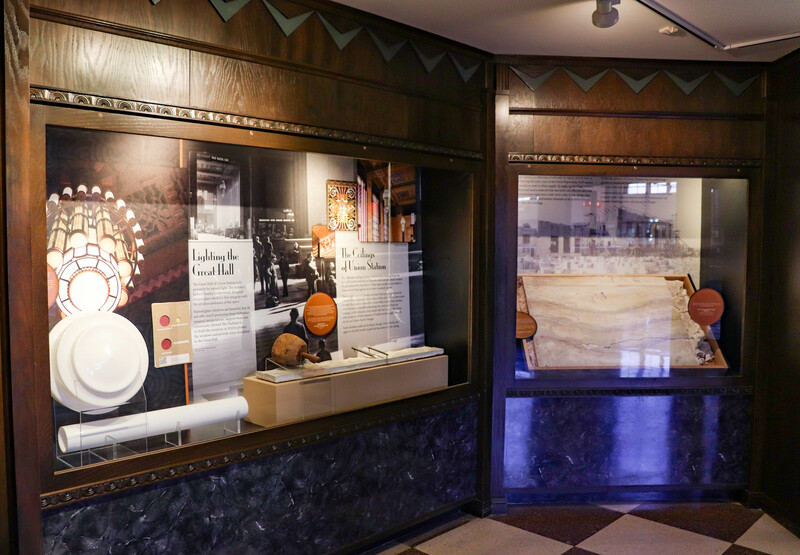 Although most of the building is office space used by the National Park Service, the first floor had several exhibits that talked about Lewis and Clark’s expedition. Venturing across the United States in an effort to map out and study the west, this journey took over two years back in the early 1800s. Photos and maps displayed here gave me a good clue as to the places the explorers passed through. There were also a few interactive activities that make this a good family-friendly stop. 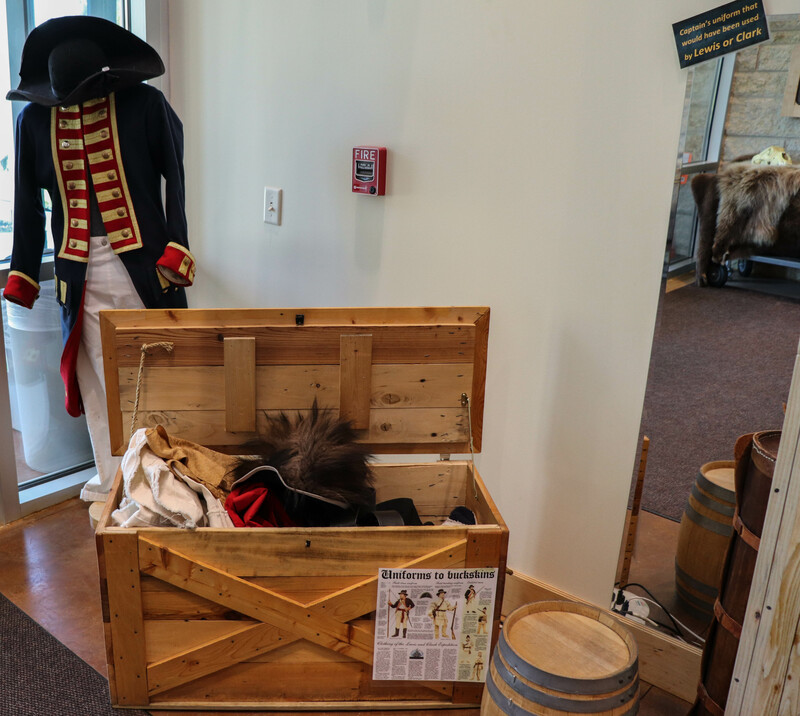 A gift shop sold Lewis and Clark themed merchandise, as well as NPS hats and other souvenirs. 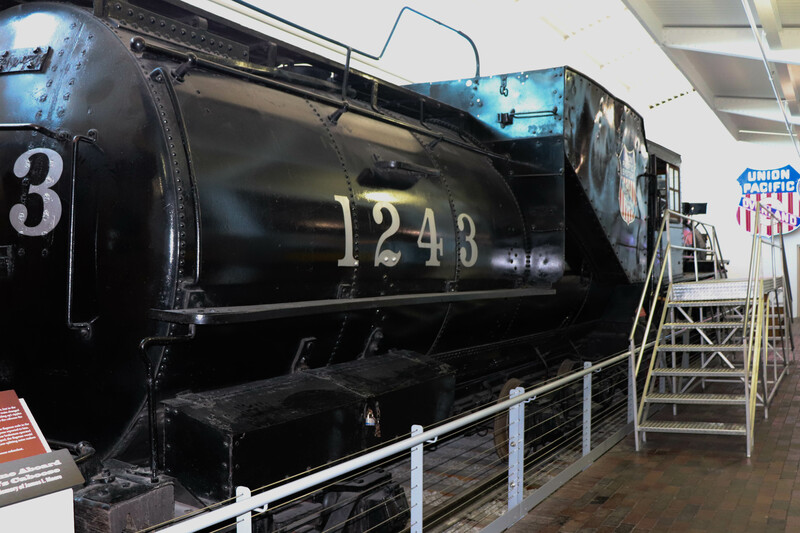 When doing my trip planning, I saw that Union Pacific had their headquarters in downtown Omaha, and I stopped there briefly, wanting to see if there were tours available or exhibits on display. The headquarters of Union Pacific. My advice: not really worth stopping by unless you know someone there that can show you around. There weren’t tours, and the gift shop was disappointing. Pretty much it was just a typical multi-story office building. From there, it was off to my next stop, the Durham Museum, a railroad museum located inside the city’s former Union Station. Now this place is much more interesting! 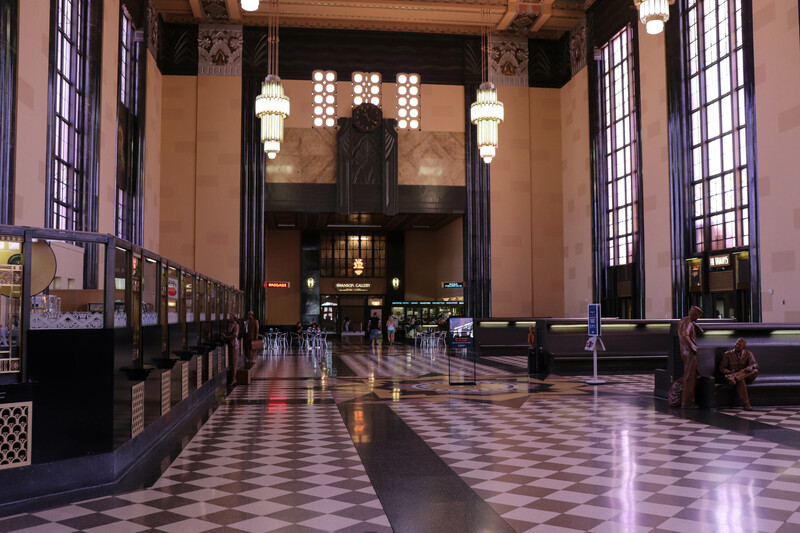 Built in 1931, Union Station quickly became a hub of activity, with 1.5 million passengers passing thru in its first year. Various rail lines brought people in and out of this station. 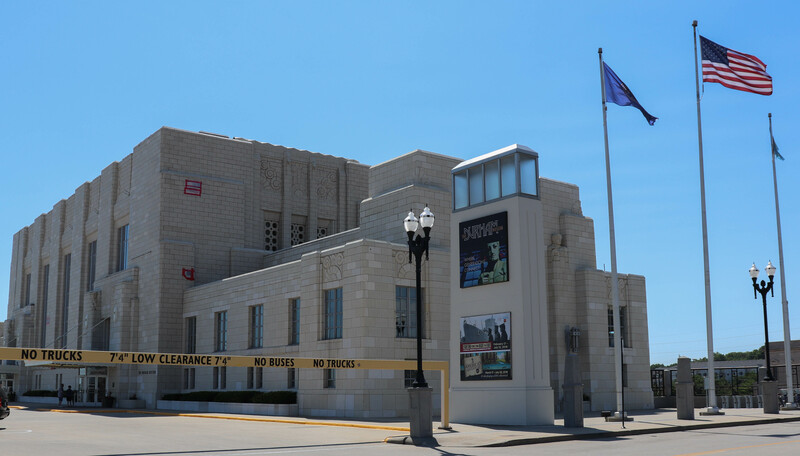 However, starting in the mid-50s, rail service began to stop running thru Omaha, and the station was shuttered and turned into a museum in the 70s. 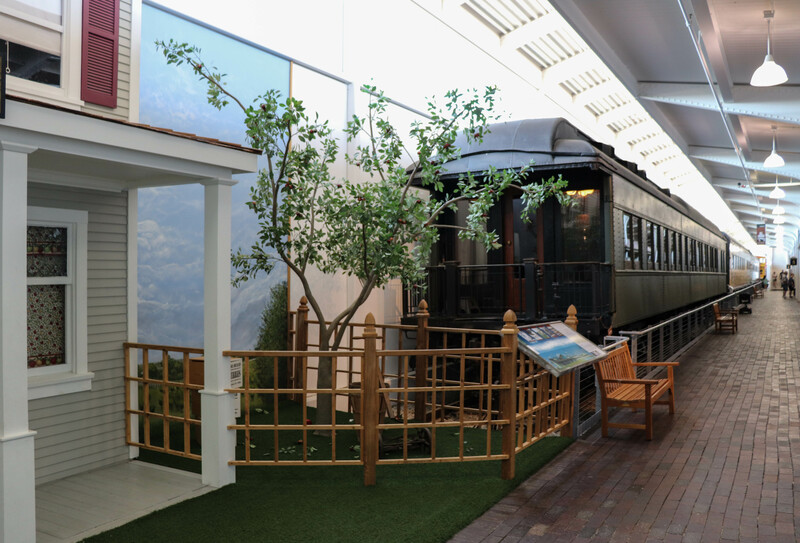 Not just any boring museum, the station’s interior has been well preserved, and is now a main focal point of this place! From the still-operating soda fountain bar to the ticket counter now serving as a gift shop, it almost felt as though I stepped back in time. The great hall inside the Durham Museum. Look at that architecture! Behind the Great Hall were several exhibits talking about the history of the station. 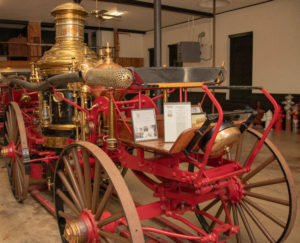 Various artifacts from the station’s heyday are displayed. Downstairs, several train cars were on display. 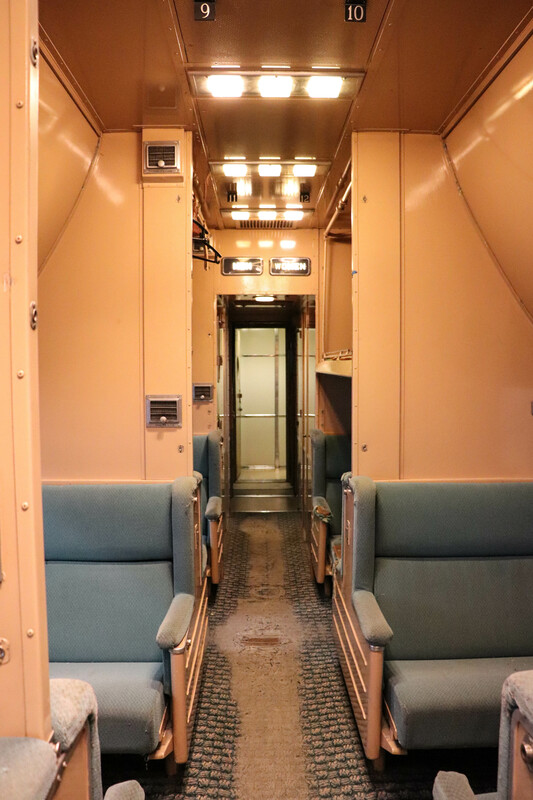 Fully open to climb onboard, it was cool seeing how rail transportation was like back in the day. 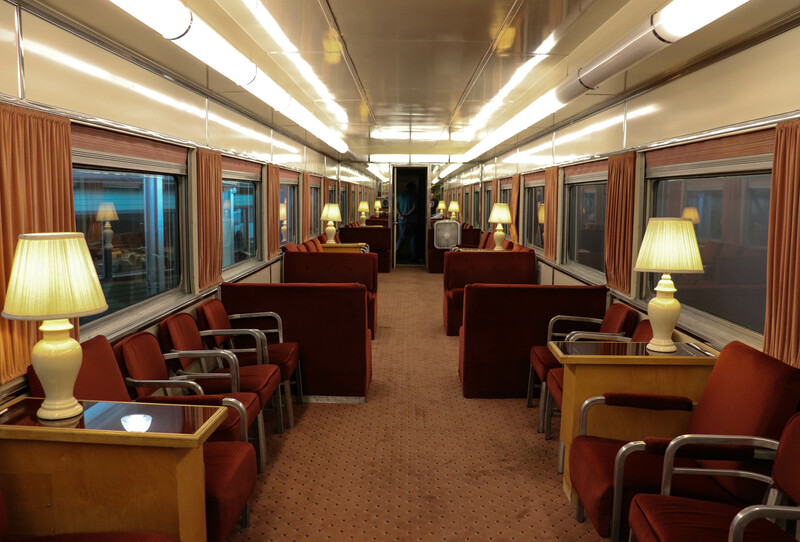 Pretty much all the cars were open, allowing for a glimpse into the days of rail travel. Honestly, many of the seats inside these cars are much more comfortable than those on today’s commercial airplanes! 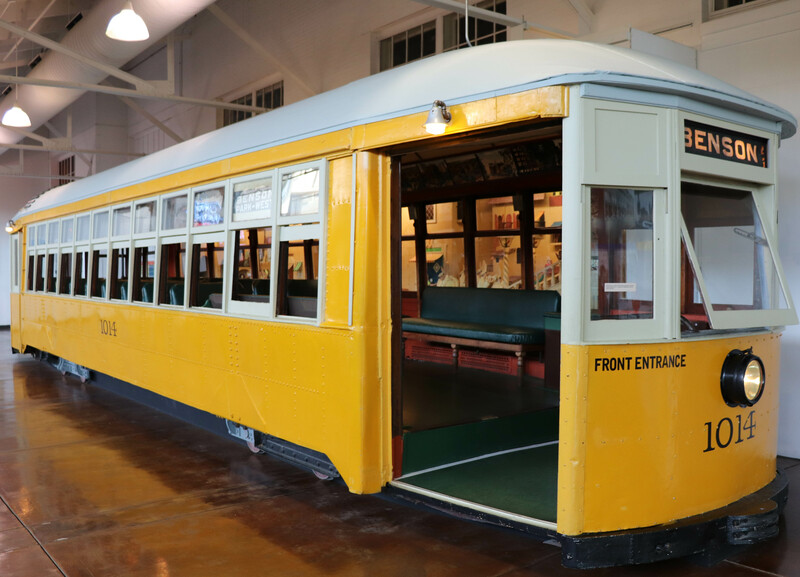 There was also a steam locomotive as well as an Omaha streetcar on display. Although a whole exhibit section and model train display was down here as well, I had to get going since my parking meter was about to run out of time, 10 minutes away back at Union Pacific’s headquarters. 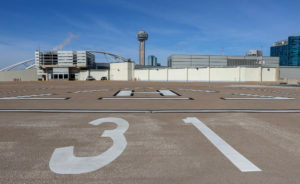 When I was writing this post, however, I discovered that there was free parking at the museum, so when you go, don’t make the same mistake that I did! The Durham Museum is a must-see while in Omaha. 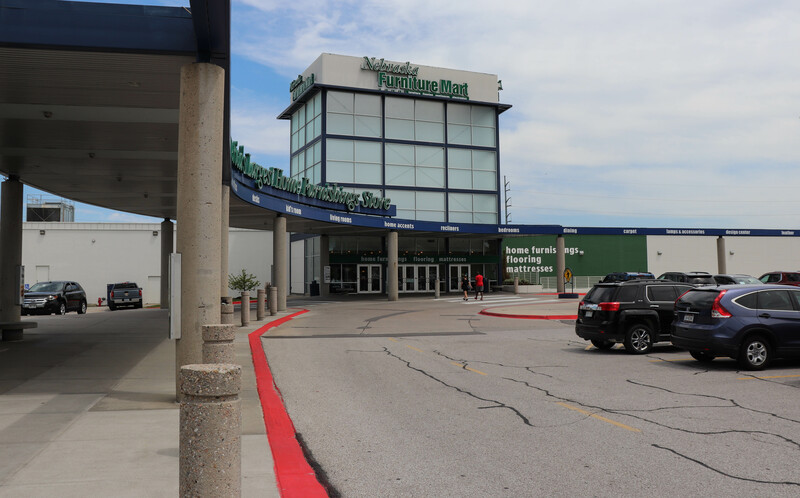 After lunch at Panera Bread was my last stop in town, Nebraska Furniture Mart. Living in Dallas, we have a huge NFM, which is also the biggest store in Texas. 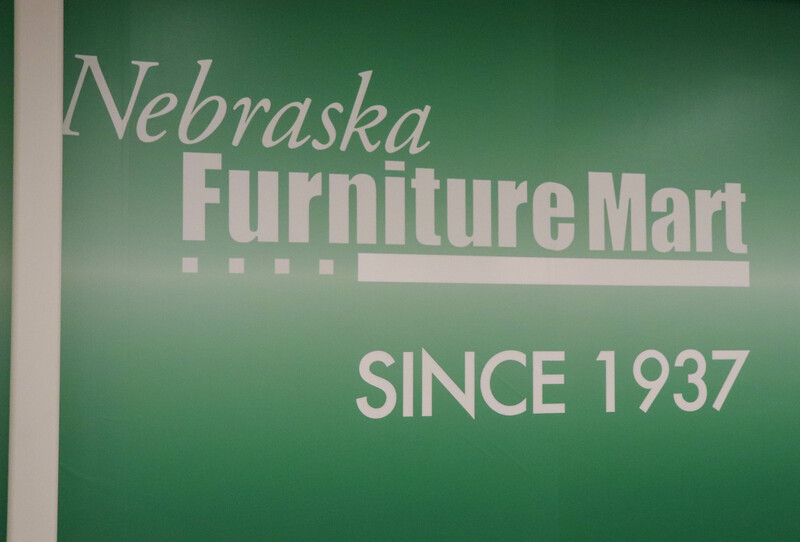 However, Nebraska Furniture Mart got their start in..you guessed it, Nebraska. I was curious to see how good(or bad) the home store would be. 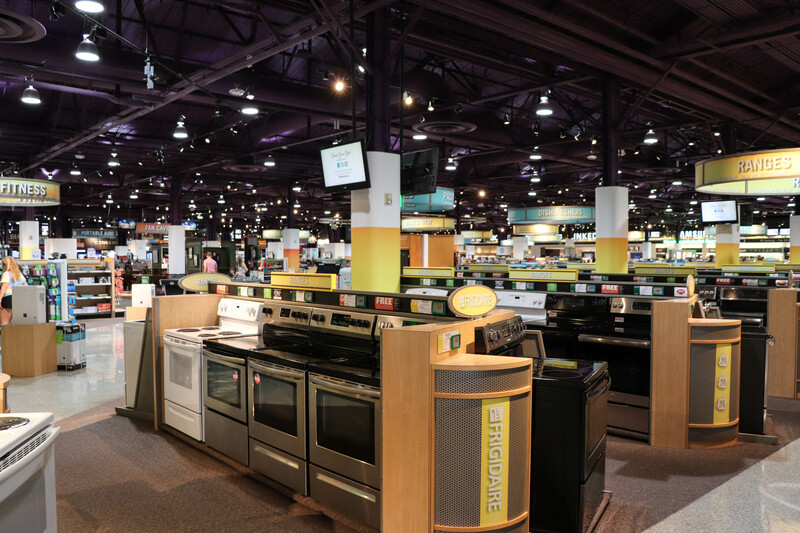 The home store of Nebraska Furniture Mart. 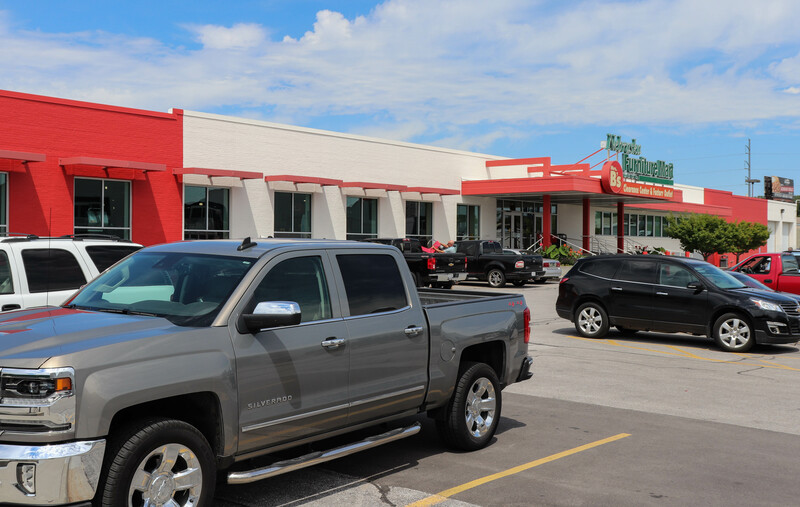 Founded right here in Omaha in 1937, what started as a family business has now grown to four locations in four states. 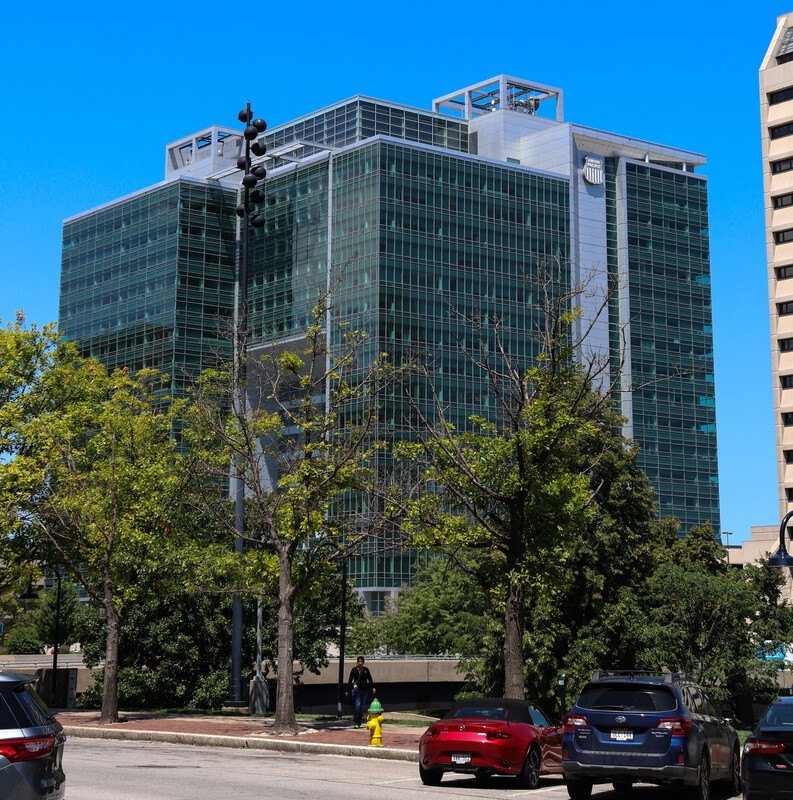 The company is currently owned by Warren Buffett’s Berkshire Hathaway. This location is made up of three buildings. 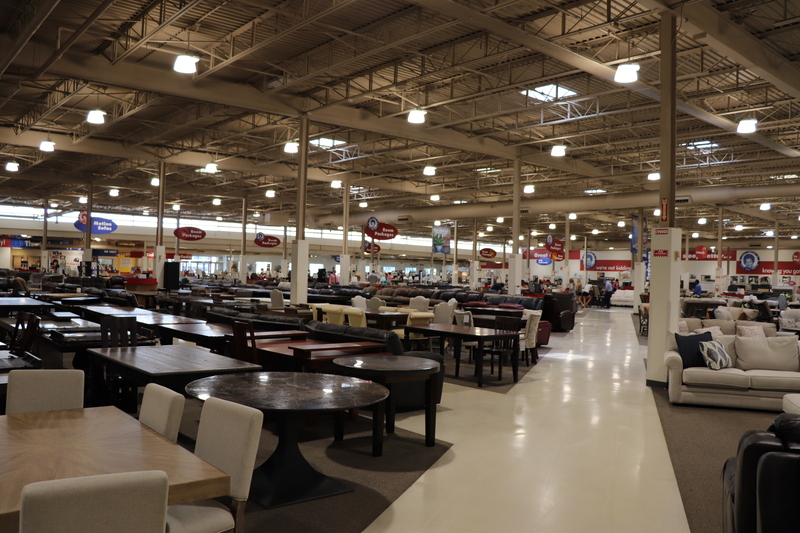 The main showroom has all sorts of furniture for sale. Everything from lamps to beds can be found here! 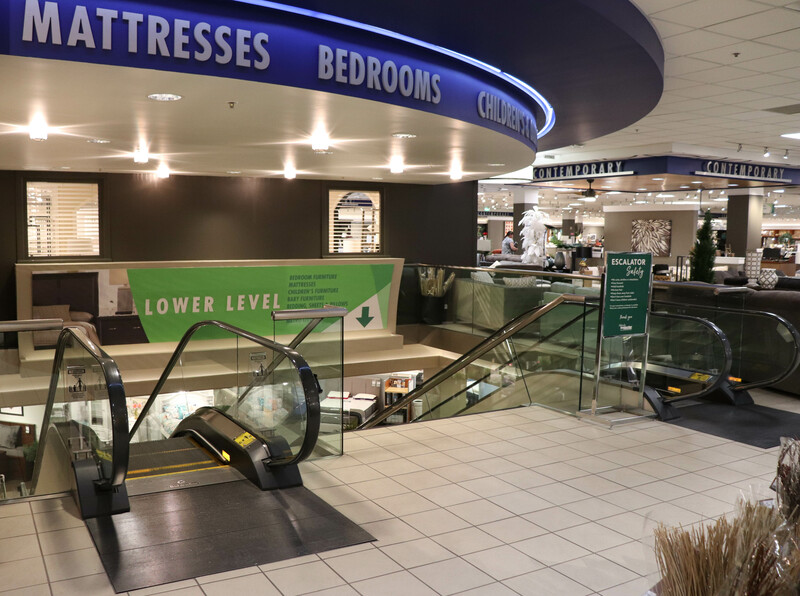 Think of a Rooms To Go store and make it several times bigger, and you’ve got NFM Omaha. Walking around, I was slightly disappointed. With low ceilings, and not as much energy as the Texas store, it would have been easy to mix up the two had it not been for the name that served as the obvious giveaway. No second floor, but there is a basement! The appliances and electronics building, right next door, had gizmos like cameras, computers, and dryers. A Subway restaurant here allowed you to take a break when you got a bit tired of looking for a new washer. The last place was Mrs. B’s Clearance Center. Also started by Rose Blumkin, the founder of NFM, this is an outlet type store selling floor samples and various clearance items. 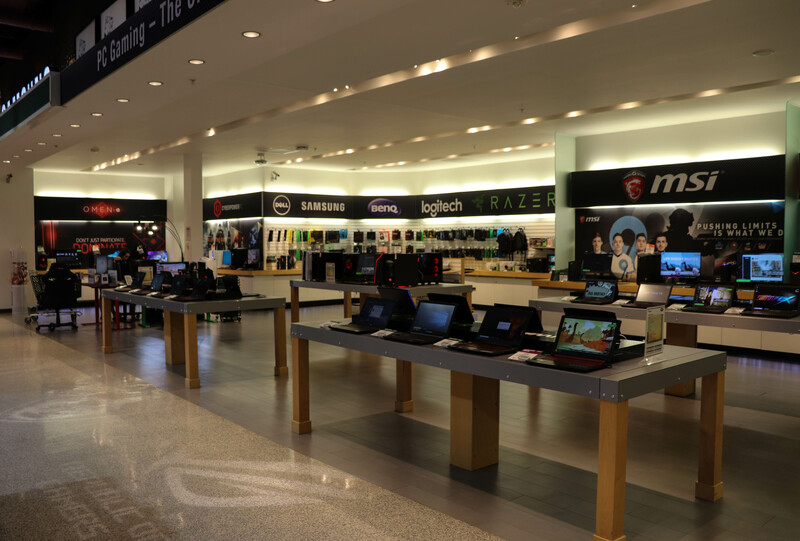 There was an ample selection of products, and a constant stream of people coming in and out. One thing to keep in mind about Mrs. B’s – all sales are final. 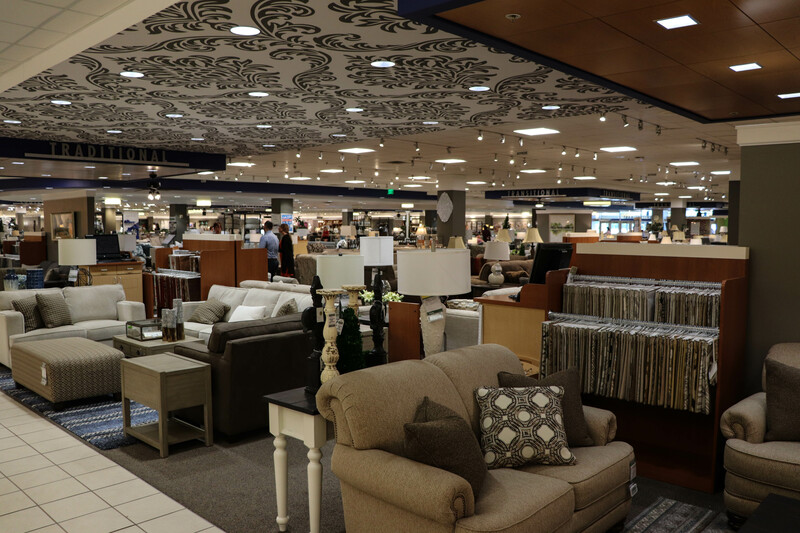 All in all, although it didn’t come close to the Texas location in terms of size or people, the home store still had lots of merchandise and friendly sales associates. It was interesting seeing how this huge store many know of in Texas had humble roots right here in the Midwest. Although I didn’t walk out with a new sofa or some rugs, it was still cool seeing NFM’s roots! From there, it was off to the airport for my flight back home. It had been nice seeing Omaha, and what it had to offer. Although I didn’t get to visit places like the Old Market, an area in downtown filled with dining and shopping options, it was still cool checking out some of the places that make up the “Gateway to the West”. What a wonderful travel log! You are amazing Eric! Now I don’t have to take this trip myself! Keep on keeping on! Nice looks like fun buddy! When we drove through, we only had time for a steak dinner. We will need to return sometime to see the other sights!